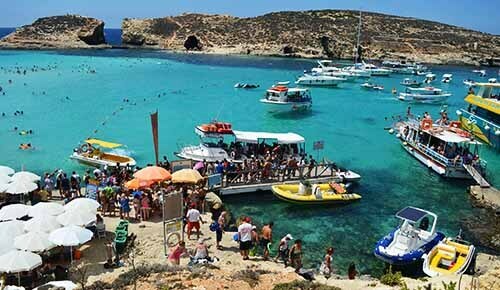 How to get to Comino ferry? - Operating all year round depending on weather conditions. 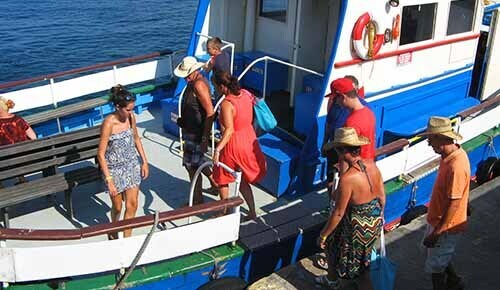 - Gozo trips depart from the Mgarr Harbour which is the only main port on the island. Here is the location from where the ferry boats between Malta and Gozo operate. - Departures from Marfa located just one kilometre before the Cirkewwa Ferry Terminal area and beside the old Marfa jetty. For a better understanding of the departure location, it is in front of the Labranda Riviera Resort & Spa. On the right side there is also the Ramla Bay Resort. The 09:40, 10:40, 11:40, 12:40, 13:40, 14:40 & 15:40 are only available in summer. Departures from Marfa in front of the Riviera Resort & Spa. The second departure point is from Cirkewwa beside the Gozo ferry. Adjacent to the Ramla Bay Resort. - An additional charge of €5.00 per bulky item brought on board for example bicycles, deck chairs or inflated mattresses. Wheel chairs and similar necessary items are excluded. - Group bookings of 10+ person will benefit to a reduced price of €8.50 per person. - The operator also accepts bookings for site seeing trips or private charter requirements. 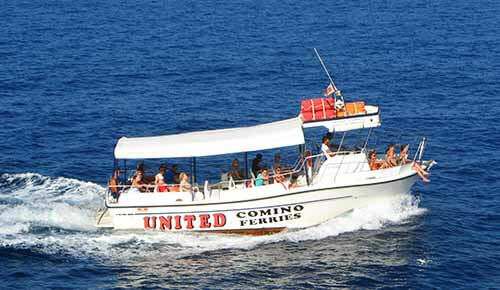 - Comino hotel transport operate from near the Cirkewwa ferry terminal to the jetty in front of the hotel. - The service is operated between May and October when the hotel is open. - For residents at the hotel one time payment no matter how many times you use the boat. - While staying at the hotel and wishing to travel during late hours, it is always important to contact reception for any changes in the boat trip schedule. - The boat schedule can be altered without prior notice. - Guests arriving or departing from the hotel are given preference to board the boat. The 21:15 trip operates on request. Time duration: 1 Hour 20 minutes. It is good a procure detailed schedule of the bus routes and check properly before leaving for your destination.